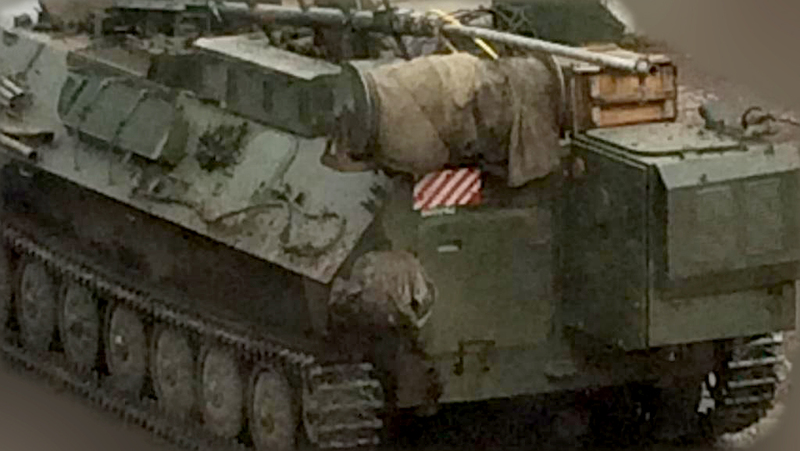 Unique Russian RTUT-BM electronic warfare in Lugansk on the East of Ukraine. Today one of the locals from Lugansk (the East of Ukraine) posted a photo of some military vehicle that was moving close to him at about 4:33pm local time. The vehicle has been identified as 1L262E «RTUT-BM». We talked to this witness and got the coordinates and the direction the vehicle was moving. This is pretty unique Russian equipment and it has never been produced or used in Ukraine, only in Russia. This system is designed to protect soldiers and military equipment from shells and rockets that have radio controlled fuses of different types. RTUT-BM can be also used to suppress communication and radar systems. It is hard to imagine that local coal miners would be able to use this equipment and it proves Regular Russian units being used on the territory of Ukraine fighting on the side of local rebels. 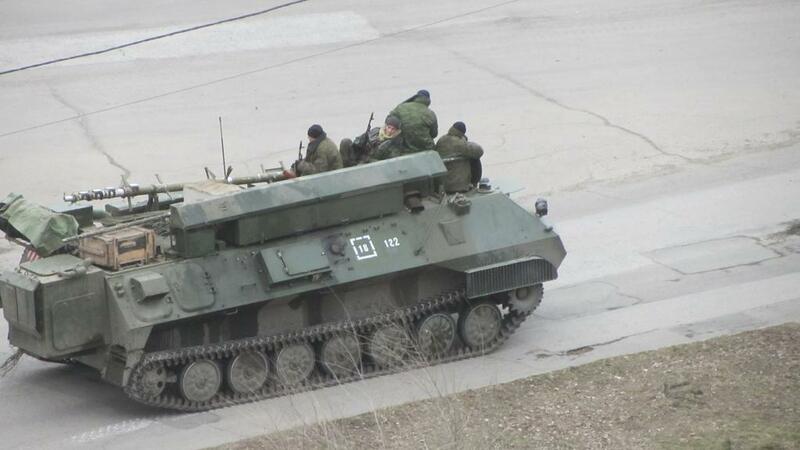 Same vehicle was seen in Bryanka on February 3 and the photo was posted on our twitter account. The background was removed in order to protect the person who took the photo.